The Constitutional Court will start the discussion of the controversial “NGO law” on January 16, reports index.hu. The court will discuss the joint proposal of opposition MPs submitted in July 2017 requesting the Constitutional Court review the law that obliges NGOs receiving more than HUF 7.2 million (USD 28,300) of foreign donations in a given year to register themselves as “foreign-funded”. According to the law, affected NGOs must indicate their “foreign-funded” status on their website and all their publications. The law does not pertain to sports, religious or minority organizations. The law violates the principle of legal certainty in that it is not clear with regard to donations made by Hungarian citizens from foreign bank accounts and donations made by foreign citizens from Hungarian bank accounts, therefore the law violates legal certainty. The law employs negative discrimination by not pertaining to sports, religious and minority organizations. The law violates the affected organizations’ right to good reputation and freedom of speech. The law, which experts liken to the similarly discriminatory laws of Israel and Russia, was passed by the Fidesz-KDNP controlled parliament on June 13, 2017, prompting an outcry by domestic and European organizations and inducing the European Commission (EC) to initiate infringement procedures against Hungary. Centrist youth party Momentum Movement started a signature collection campaign for a referendum on the law in November 2017, while the affected NGOs chose to attack the law on legal forums. Ironically, the law that was created with the implicit goal of targeting NGOs critical of the government’s policies, many of which are financed, at last in part, by George Soros’s Open Society Foundations, turns out to affect more organizations endorsed by the government than so-called “Soros organizations”. 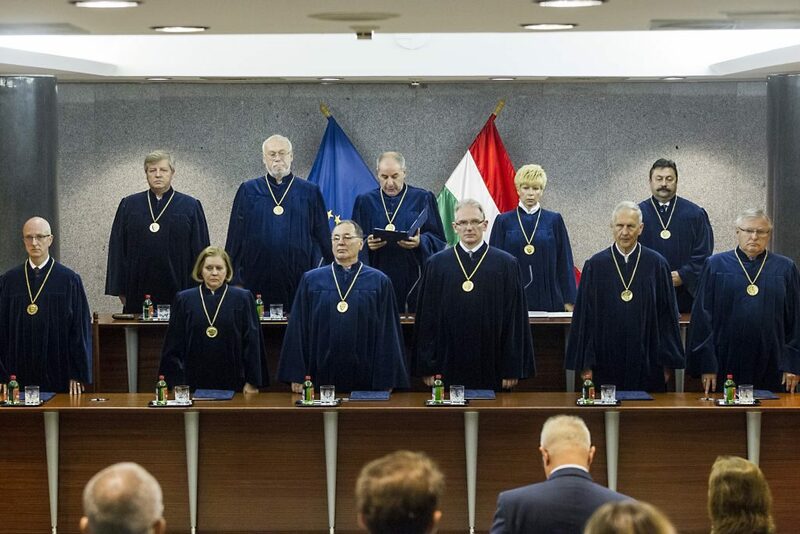 The Budapest Beacon earlier reported that there was little chance the Constitutional Court would discuss the highly disputed case before the 2018 general election. Putting the case on their agenda, however, does not necessarily mean that the court will make its decision before the national election on April 8, as according to the Hungarian constitution, the Fundamental Law, posterior constitutional reviews have no deadline. Fidesz issued a statement Thursday afternoon calling “remarkable” the fact that Jobbik, LMP, MSZP and Democratic Coalition (DK) had joined forces in the campaign against the “NGO law”. “We stand by the law because Hungary must be protected from the Soros-network. More and more money is being poured into Soros-backed organizations so that they can influence [Hungarian] immigration policy and the Hungarian elections,” the statement reads.